Most probably think blues music, Elvis and BBQ when they think of Memphis. And, most Memphians will gladly take credit for that. But nestled along the mighty Mississippi River, this historical city is also home to an array of excellent coffee shops. 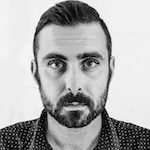 Memphis is known as “The Bluff City,” and one of the city’s many unofficial mottos is “We Don’t Bluff,” a nod to the city’s resilience, grit and go-getter attitude. If you’re looking for an apartment to call home that offers convenient access to that daily dose of caffeine to fuel your productivity, here are 10 of the best options. Located on Front Street, Printer’s Alley began life as a historic print shop. That building has been resurrected and converted, and an additional south building has been developed to perfectly complement it. 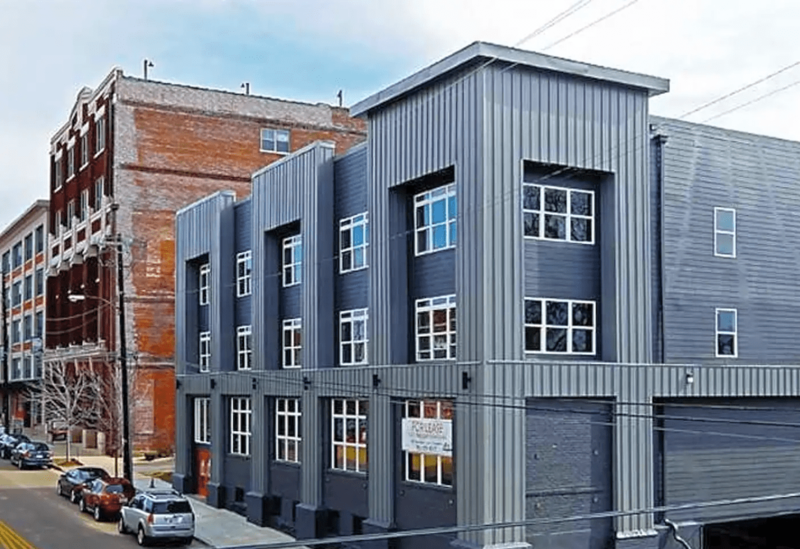 The print shop is comprised of creative loft apartments, while the south building features more traditional two-story townhouses, complete with garages (something of a rarity in downtown Memphis). A short walk down to South Main Street leads to Bluff City Coffee & Bakery, a popular café with homemade baked goods. It’s also close to Low Fi Coffee, a newer and welcome addition to the Downtown coffee scene, located inside the same building as the boutique shop Stock & Belle. Gayoso House was originally built in 1842 as Memphis’s first luxury hotel. Though it’s been faithfully updated and renovated over the years, it retains its distinctly historical feel. To reflect the building’s historical character, Gayoso House offers 30 unique floor plans. Beale Street and South Main Street are a stone’s throw away, as are two of the city’s best coffee shops. Tamp and Tap is located right on Gayoso Avenue and serves wonderful food and beer in addition to craft coffee. It’s a regular favorite of the Downtown working crowd. A bit further North, you’ll also find Qawha Coffee Bar – one of North Main’s best kept secrets – which features good coffee and an actual bank vault to drink it in. Nearby is Café Keough, offering great coffee in even better surroundings. Pembroke Square and Gayoso House – No. 9 on this list – are both in Peabody Square. They also share a lot in common, from the stained glass and soaring ceilings to the bay windows and 1904 tile. The primary difference between them is in the styles and layouts of the apartments themselves. Pembroke residents are also likely to become regulars at Tamp and Tap, Qawha, Café Keough or any of the coffee shops down the road on South Main Street. The name 266 Lofts is a nod to the Loft’s 266 South Front street address, a hip and lively location that’s becoming more popular by the day. 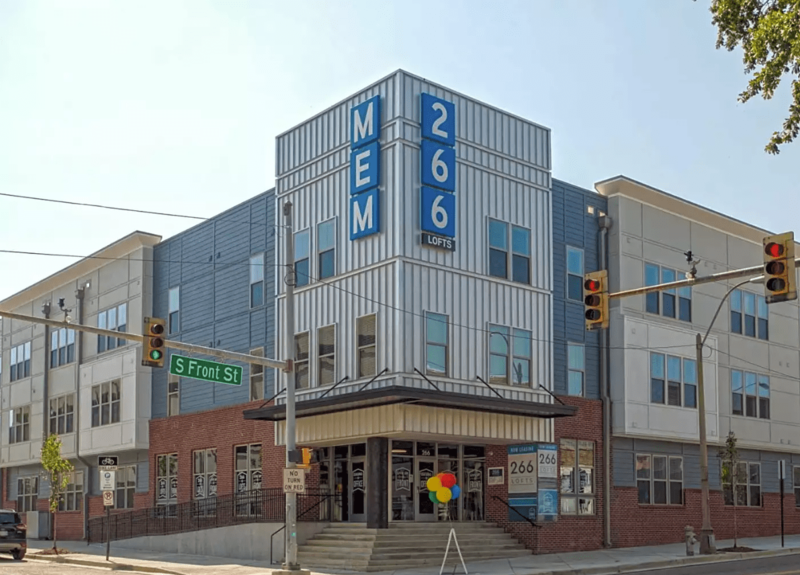 In contrast to many of Memphis’s older historical buildings, 266 Lofts aims to be modern and meticulously designed. It’s on the south side of Downtown, meaning it’s close to Bluff City Coffee & Bakery, as well as Low Fi Coffee. Grab a cup to go and stroll down Front Street on a sunny day, and you’ll feel the pulse of a neighborhood that’s rapidly growing but keeping its historical past close to its heart. 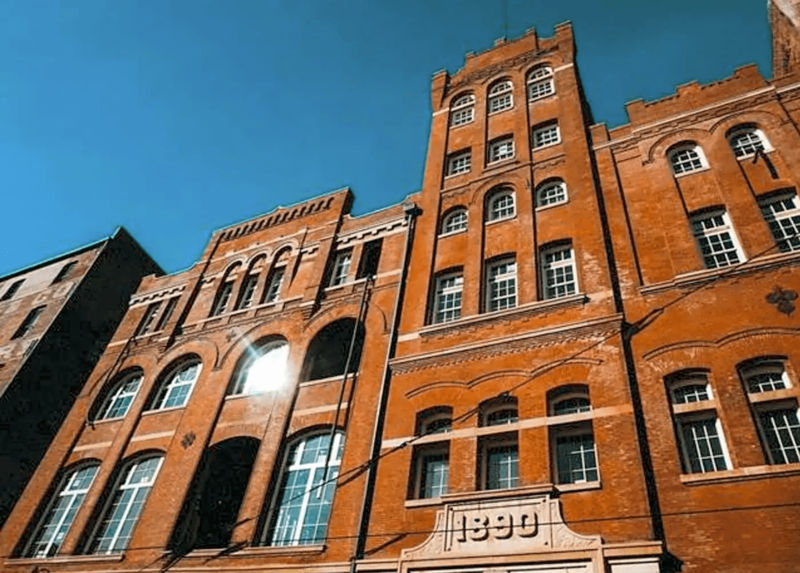 The Tennessee Brewery is one of Memphis’s most well-known historical downtown buildings, and its revitalization as a space for upscale apartments created some serious buzz. 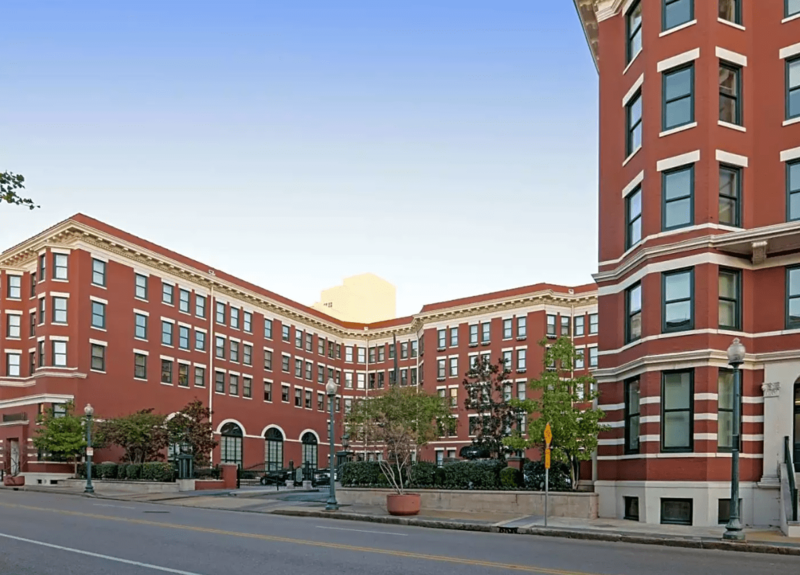 The Tennessee Brewery offers one- and two-bedroom floor plans, as well as riverfront access and bluff-level views of the river and Downtown. It’s in the vicinity of South Main Street coffee spots like Bluff City Coffee & Bakery and Low Fi Coffee. Inside the complex is also an I Love Juice Bar featuring a coffee-based smoothie, for those who love both juice and java. Back when Uptown Square was called Lauderdale Courts, Elvis lived there. The complex has since been brought into the modern era, but the apartment he lived in has been lovingly preserved. You can check it out on your way out the door to grab a cup of Joe. Uptown Square is close to the coffee shops on the North side of Downtown, but it also offers easy access to The Office@Uptown – a space designed for relaxing with some coffee and food while getting a bit of work done – as well as Little Café Eclectic on nearby Mud Island. 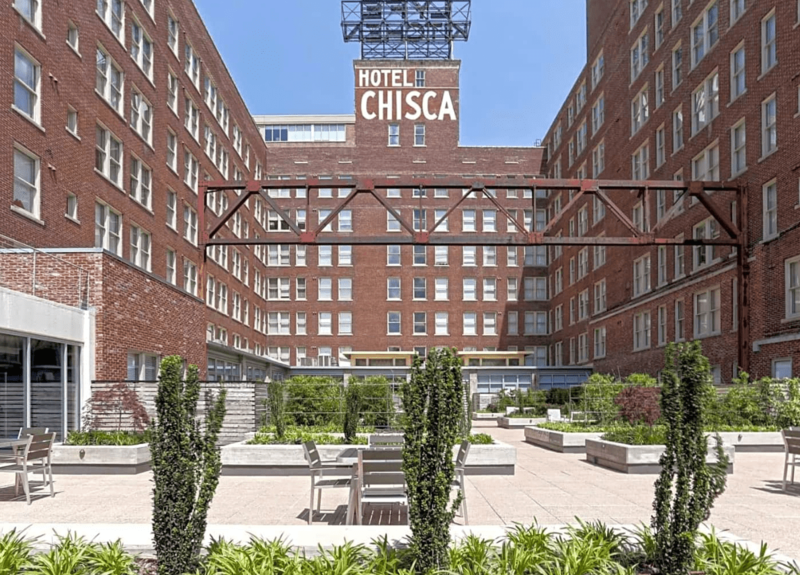 Another renovated historical hotel, the Chisca Apartments are noted for their central location in the heart of Downtown and their pet-friendly policies. 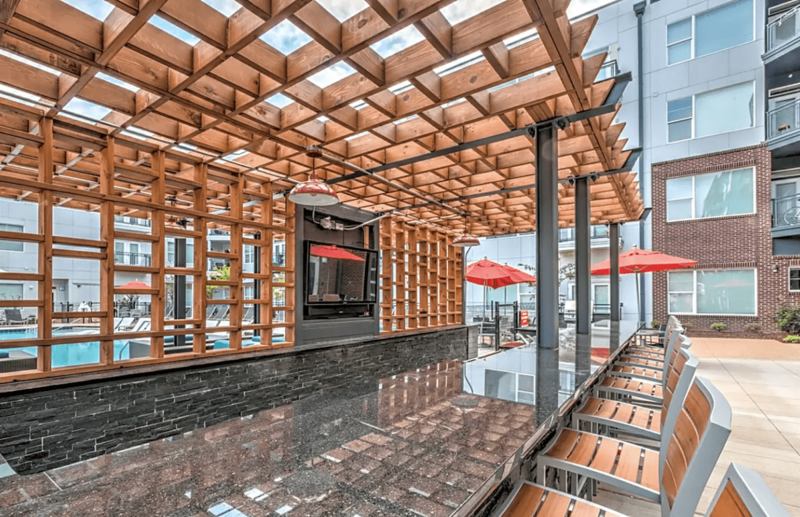 A variety of floor plans are offered, and the ground floor features impressive amenities and access to popular restaurants. Brunch lovers can take in some fine coffee and award-winning Italian food at Catherine and Mary’s located on the first floor. The Chisca Apartments are also located right on South Main Street within walking distance of Bluff City Coffee & Bakery and Low Fi Coffee. Just across from the University of Memphis, you’ll find Highland Row, a mix of both apartment homes and retail shops. Highland Strip has grown by leaps and bounds in the past few years, led in large part by the development of the design-forward, urban-flavored Highland Row community. Since it’s the heart of the University District, there’s no shortage of strong coffee contenders, including Café Eclectic Highland, Belltower Artisans, Levee Coffee & Creamery and Avenue Coffee. The Cabinet Shop Lofts are also located in the South Main Arts District on the Southern end of Downtown. If you haven’t noticed a pattern yet, there’s no denying that Downtown Memphis is a good place to be for caffeine lovers, whether you want to grab a cup and go or post up with a book or laptop. 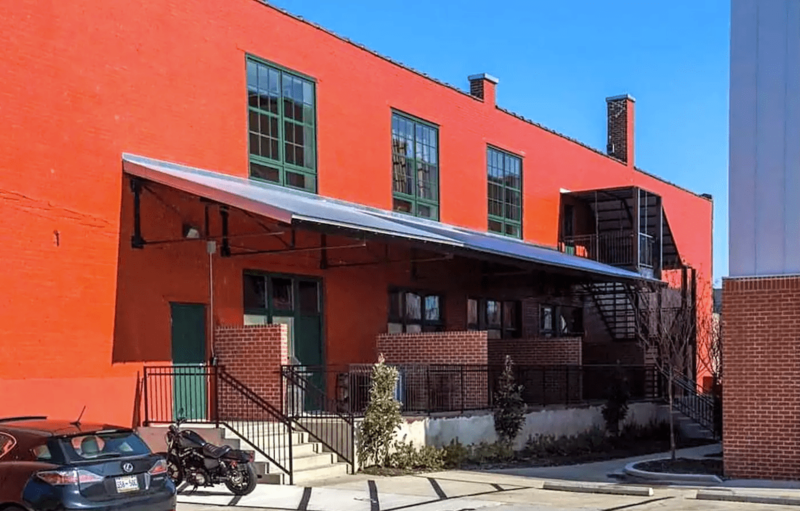 Management rehabilitated this century-old warehouse, transforming it into a modern three-story complex boasting lots of natural light and a prime location. 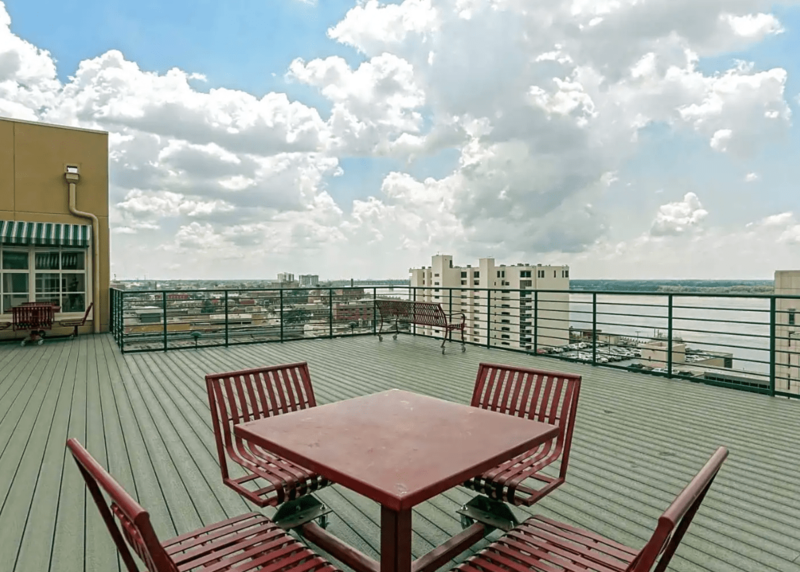 If you ever wanted to pinpoint the Downtown apartment building that’s most geographically central to the highest concentration of coffee shops, we’ll save you the trouble – it’s the Cabinet Shop Lofts. You may have assumed that a coffee lover’s dream neighborhood would be downtown, but nope, it’s the aforementioned University District. Highlander Properties consists of five apartment communities, offering something for every budget and taste. 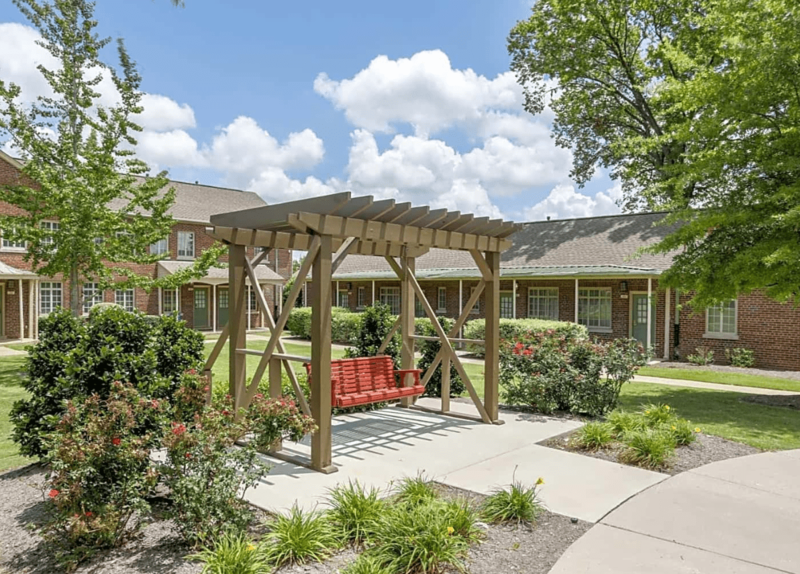 Not only are these apartments right down the street from the bevy of newer South Highland-area coffee shops, but their location also allows for a straight drive along Poplar Avenue for easy access to indie coffee havens in Midtown and East Memphis, not to mention about a dozen chains. 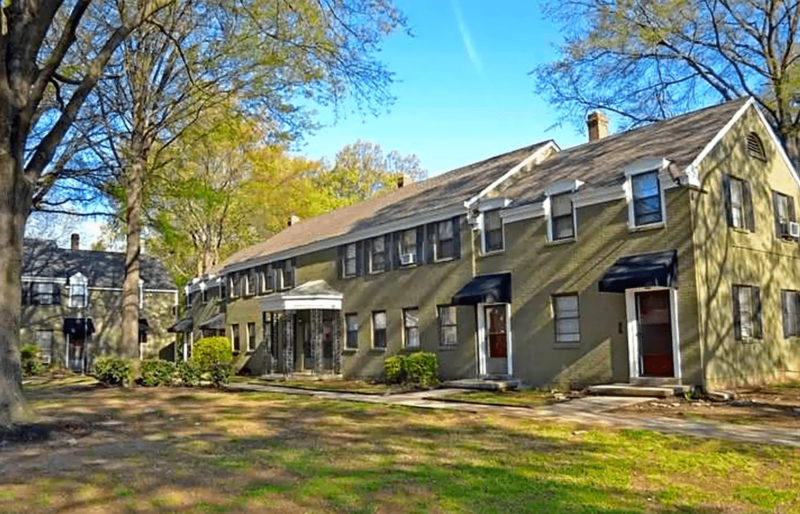 We looked at all multifamily apartment complexes in Memphis with active listings on ApartmentGuide.com and rent.com and rated them on the number of coffee-related businesses within a half-mile radius. We used an exponentially decreasing scale based on distance from the apartment. For instance, a coffee shop across the street would score higher than a coffee shop a quarter-mile away. Our establishment counts come from commercially available business listings.